JaXon China was Jackson China's very early brand, made at its Fall Creek, Penn., plant between 1914 and 1930, according to Jim Strano, author of the book on Jackson. It tends to be large and heavy ware and is very hard to find in anything but white or green-lined decorations. 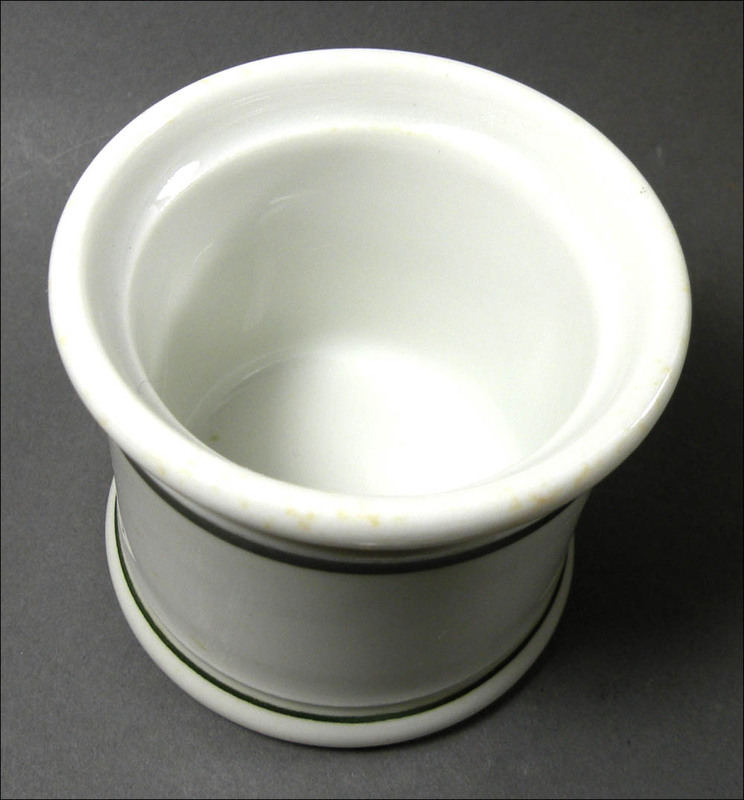 It also tends to be more be more crudely manufactured compared to what we think of as Jackson's usual quality - rustic might be a kinder word! 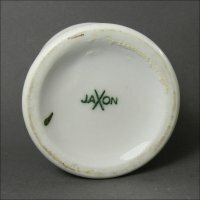 But JaXon in the hand has incredible appeal precisely because of its heft and plain design. 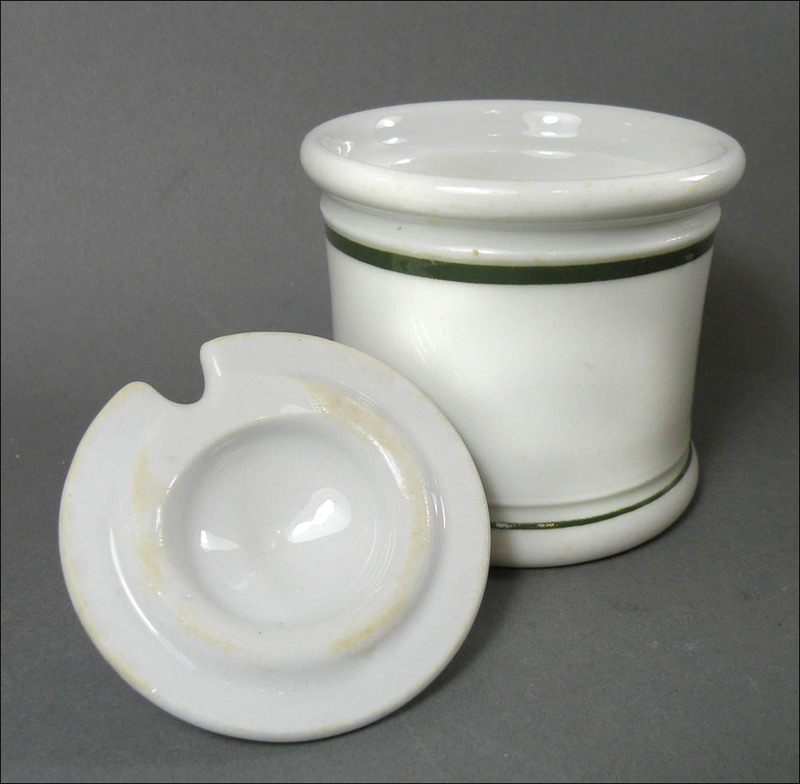 In many ways it exemplifies the strength and durability of restaurant ware, blemishes and all. 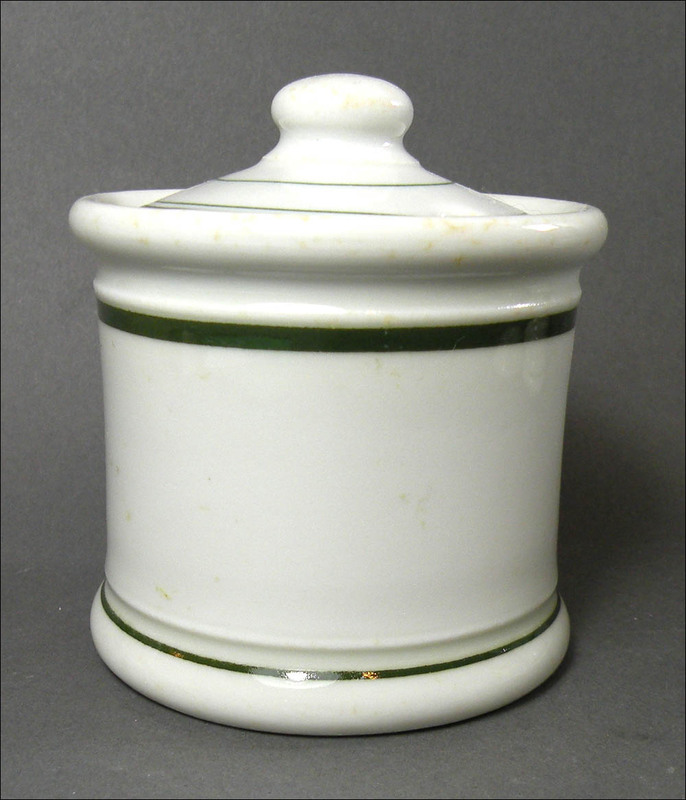 This beautiful green-lined mustard is in excellent condition with a bright and shiny glaze. 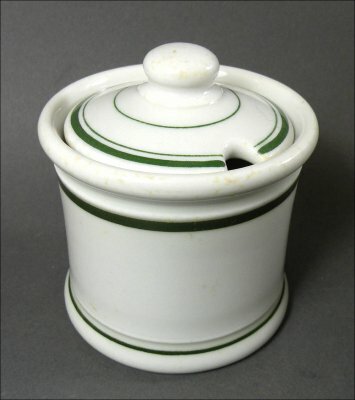 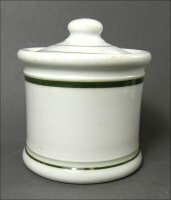 It stands 3 1/2 inches high, including the lid, by 3 inches across.